Although the borage plant grows in the wild like a weed in Europe, it can be difficult to grow in cultivated gardens in the United States. Dating back to the Roman Empire, herbalists have used borage as a treatment for melancholia and to promote gladness and courage. The entomology of the name may be derived from the Celtic word, "burrach" which means "man of courage." The plant has numerous white, prickly hairs covering the leaves and stems of the entire plant. "Burra" in Latin means a "flock of wool." The plant blooms in the summer. Flowers are blue or purple and star-shaped, with a slight cucumber taste. While the flowers and seeds are edible and perfectly safe, the leaves and stems can cause liver damage if ingested. 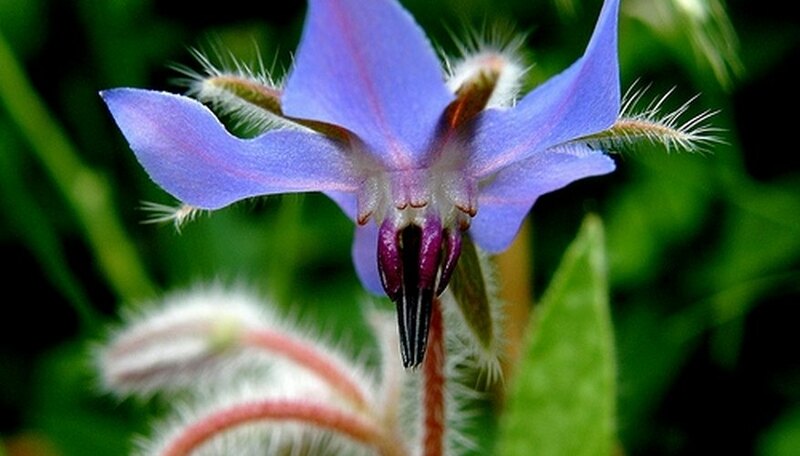 Today, borage flowers have a wide variety of uses including as a tea and as a decoration for salads. Better Homes and Gardens even recommends freezing the flowers in ice cubes to spruce up summer drinks.